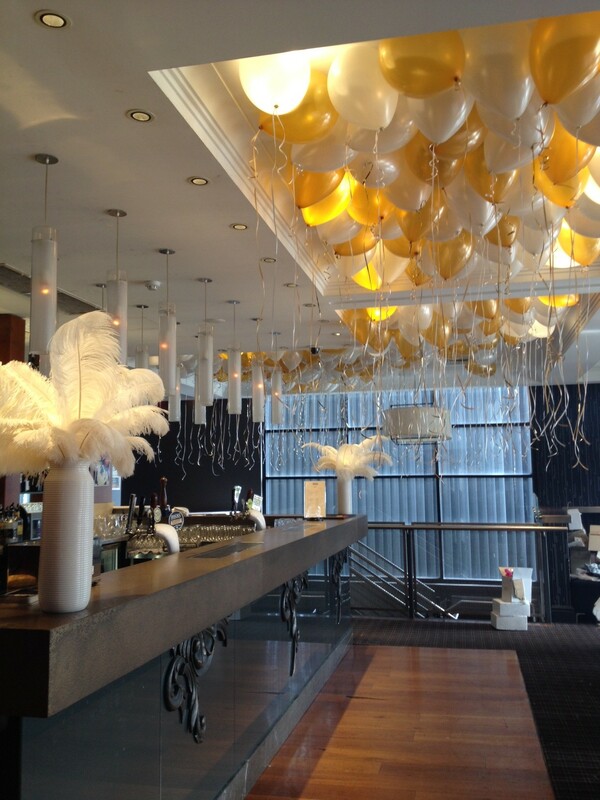 The ultimate party decoration, loose helium balloons are perfect for any sized event! 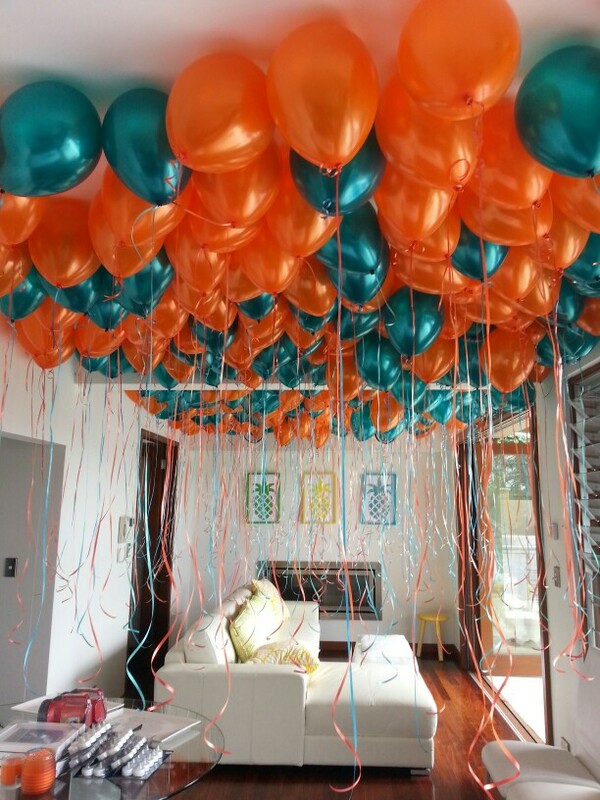 The classic party decor, loose helium balloons are the simplest yet arguably most effective way to fill a space. With the huge variety of colours to pick from, they can be customised to suit any occasion or theme. Click here to browse our latex colour selection. 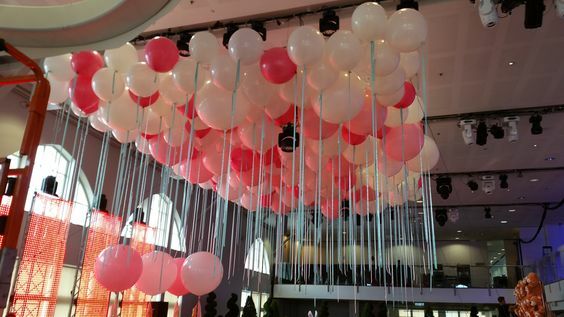 Decorating with loose balloons is a great way to add colour and texture to your event space. Go for a classic two colour scheme, or all out with the rainbow and make the dance floor stand out. You can further customise the final look when choosing ribbon colours – matching, reverse, silk, metallic or single colour. Mix it up with different latex sizes for a truly unique look. 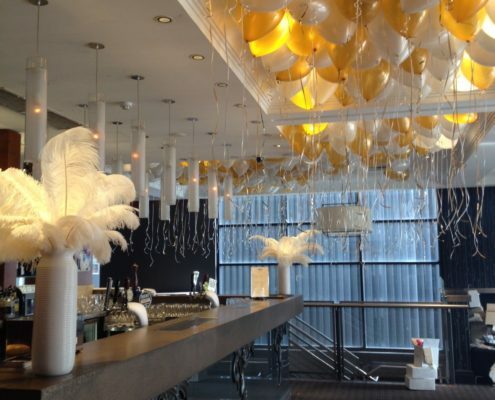 We loved this Love Boat event with a mixture of 11″, 16″ and 3ft balloons – doing more effect with less balloons. Don’t know how many balloons you need to fill the space? Use our Loose Balloon Calculator! Then once you know what you want, order your balloons! Some venues do not allow loose helium balloons. Please make sure to check with the venue before ordering. 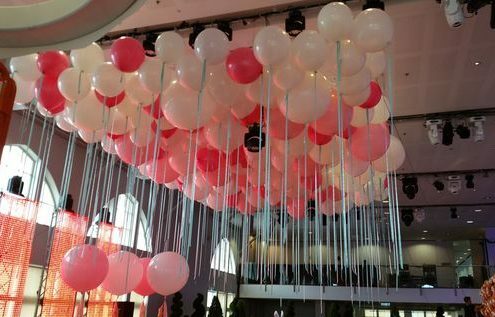 If you are planning on hosting your event in an outdoor space, loose balloons ARE NOT SUITABLE. 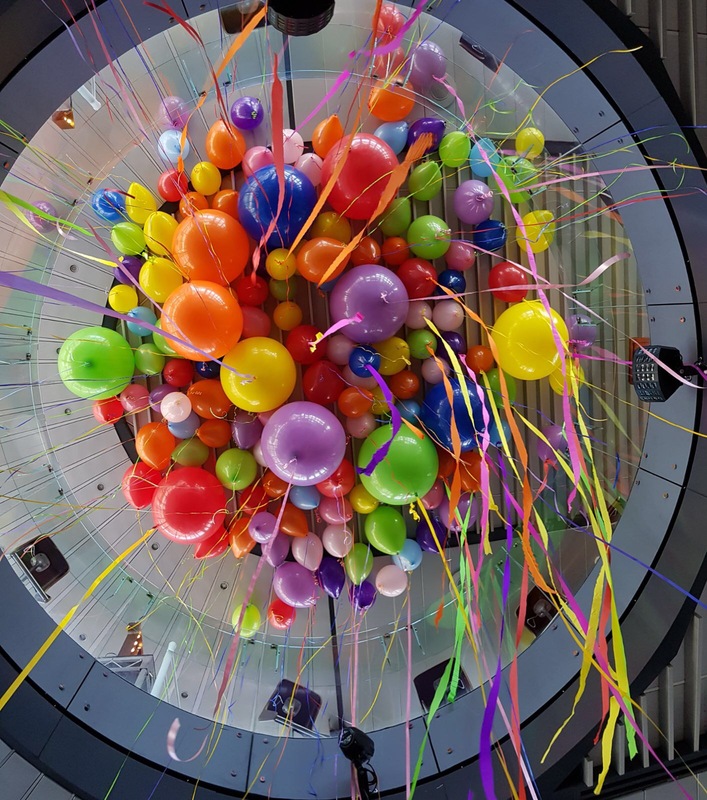 If the event space is indoors but will have doors leading outside, the balloons will be likely to blow out due to wind flow. 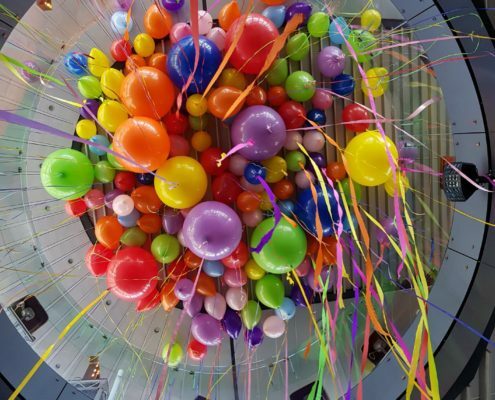 Ceilings that have rough textures or fixtures (such as sprinklers) are likely to pop the balloons. If Air Conditioning is being used in the room this will blow the balloons around. 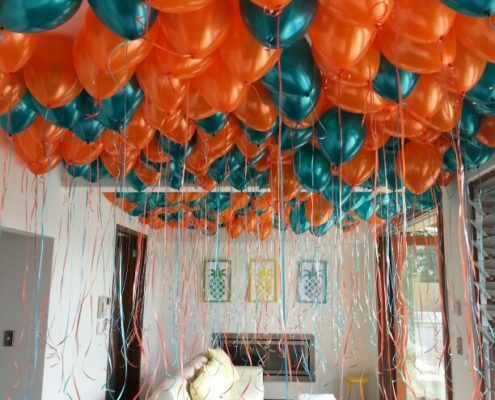 Keep this in mind if you were wanting the balloons to sit in one specific area of the room. Some paints react with latex and cause the balloons to pop. A-frame style ceilings will result in all the balloons sitting in the middle/peak of the roof. The ceiling needs to be flat if you are wanting an even coverage.